I’m continuing the budget-friendly Disneyland series (see my posts on choosing your best meal and best hotel in case you missed them!). This time we will look at one of the expenses that can be the most difficult to budget for: souvenirs. If your kids are anything like mine, you could almost do a drinking game with every time you hear the phrase, “Can we buy that?” But if we did, most of us would be done for before we got off Main Street. As parents, we want to always say yes. But when we see the twirling light up noise maker for $15, that we know will probably be broken before the end of the night, it is good to have alternative suggestions. In the interest of time, we will look solely at Disneyland park itself and we will give Disney California Adventure its due attention on a separate post. Also, I will not suggest any food, treat or candy as a souvenir. Though I myself love to get a candy apple to take home, for the sake of discussion, the suggestions will all be non-edible keepsakes. To avoid over spending, put each of your kids on a budget. 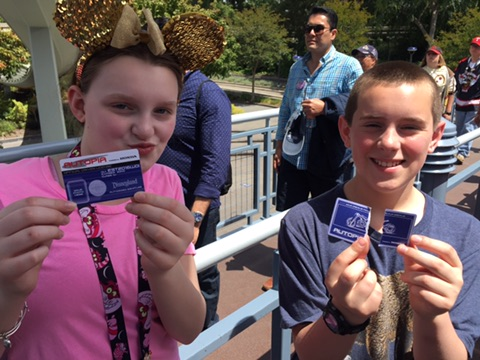 We often get Disney gift cards for each kid for while they are in the park. Last trip, we gave the kids $20 that they could spend any way they want. My son used to burn through his budget within the first hour, but he’s slowly learned to wait and make better decisions. It is a great way of helping kids learn the value of money. It also allows you to pre-pay for your souvenirs to avoid over-spending. This may be a personal preference, but I suggest nixing any cloth items with the current year on it. For me, it’s like going to a concert and wearing a T-shirt with the band you’re about to see on it. Just don’t be that guy. If you want to make photographs your main souvenir for the trip, there is a great way to do that. Disneyland offers a service called “PhotoPass Plus.” For $78.00 for a week, you can get a digital download of every photo taken by a PhotoPass photographer, ride attraction and most character meals. This can be a real savings over buying each individually. Souvenirs like this can be a great way to remember your trip! There is also the new MaxPass option. For just $10 a day you get access to all your digital photos for that one day. This feature also allows you to make FastPass reservations on your phone, but then you would need it for everyone in your party, so it would be $10 a day, per person. As a hack, just buy it for the free digital downloads, then only one person would need it! Further, if you’re a Disney Chase cardholder (credit or even debit), there is an exclusive location to get a photo with a special character. Currently that is in the Star Wars Launch Bay. The centerpiece for merchandise in Disneyland is on Main Street. From the magic shop, to the Emporium, there are plenty of things to look at and take home. This is the place to grab a Mickey doll, a new sweatshirt, or a nifty beach towel. There is so much to chose from, but most will come with a less than desirable price tag. If your child is looking for a take home souvenir to remember their trip with, you might consider a Disney pin. Disney pins can price around $10 give or take. 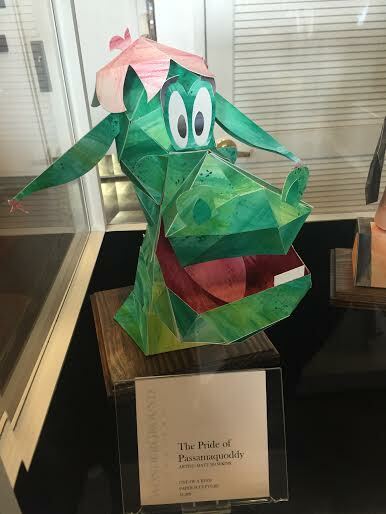 They feature characters, attractions or other Disney items of interest. Lanyards are also sold to feature their new found purchase. And the amount of pins to chose from is rather impressive. A fun feature is that throughout the park they may run into Cast Members who have their own pins and lanyards. At that point they can trade any of their pins to a Cast Member for one of their pins. 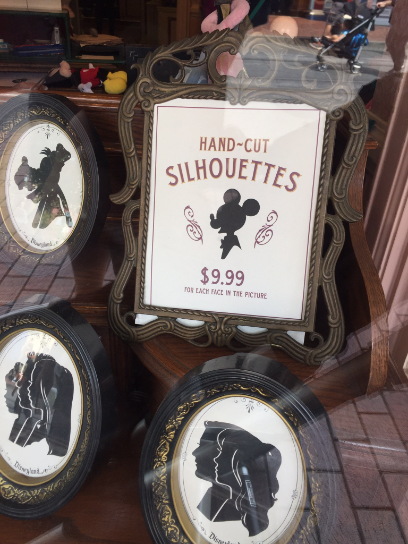 One oft overlooked shop is the Silhouette Studio. It holds a particularly nice souvenir, hand cut silhouettes (surprise). 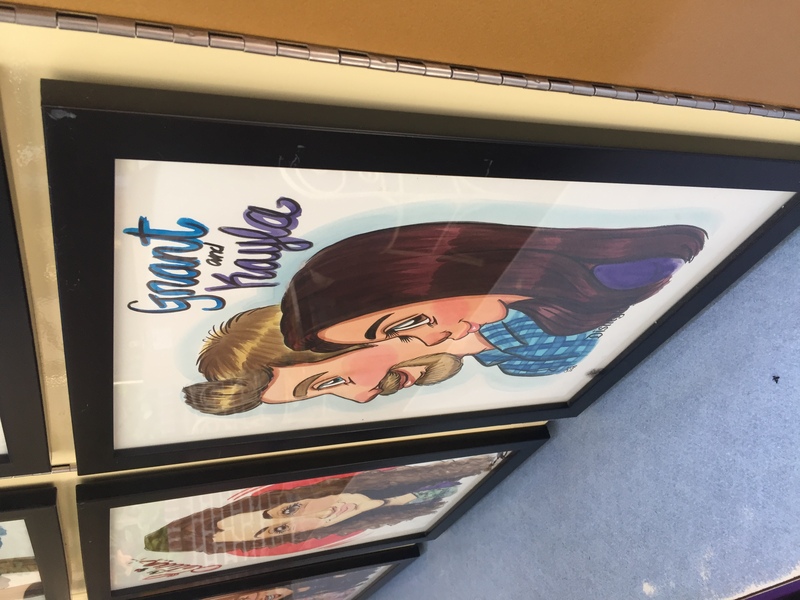 For a mere $9.99, you can have an image etched and cut into a lasting piece of original keepsake. What’s more, you actually end up with two copies of the silhouette. This may not be the first choice for a child, but as a parent, this will make an excellent and affordable purchase. Ready to find a fun take home souvenir from Tomorrowland? 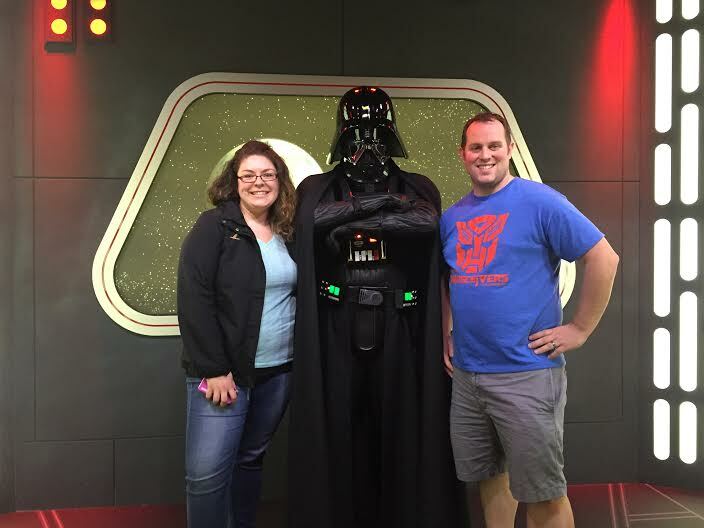 I hope you have someone in the family that is into Star Wars. Tomorrowland is the hibernation point for everything Star Wars until Disneyland opens the west coast version of “Star Wars: Galaxy’s Edge” in 2019. And don’t worry, every ride will drop you off into a merchandise location. You, and especially your kids, won’t miss them. Credit where credit is due, there are some unique, one of a kind Star Wars merchandise to be had here. From fun T-shirts, build your own lightsabers, to create a droid, there is lots to pick from. Here are some of my best value gift ideas for those with a hankering to buy something while traversing Tomorrowland. First, something for those who are in need of Star Wars goodness in their life. If you’re not quite ready to shell out $25 to build a custom lightsaber you might consider Star Wars Mini-Figures. Found in Star Traders, these randomly packed mini toys are sold in bundles of 3 for just $7.99. You never know what figures you’ll end up with, but that can be part of the fun. And if your child (or adult child who is your spouse) wants to keep collecting, they can also be bought at the Disney Store online. 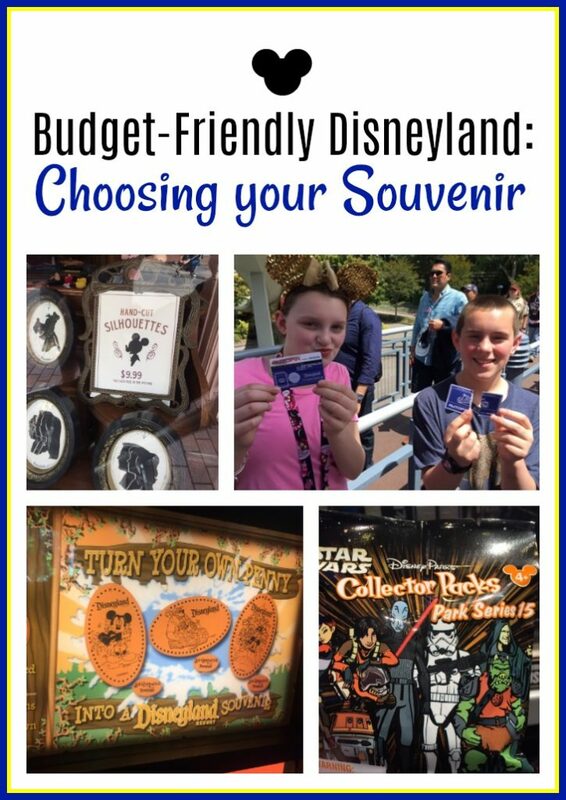 Stepping away from a galaxy far far away, another great affordable souvenir can be received for free! Head to the the far corner of Tomorrowland and hop on Autopia. 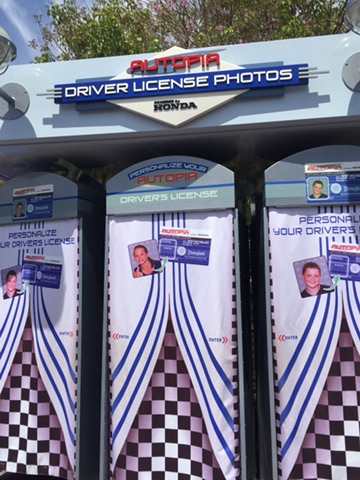 As you journey through the queue area, eventually you will find a free Autopia Driver’s License. And if you want to personalize the license, you can add a photo for just $5. 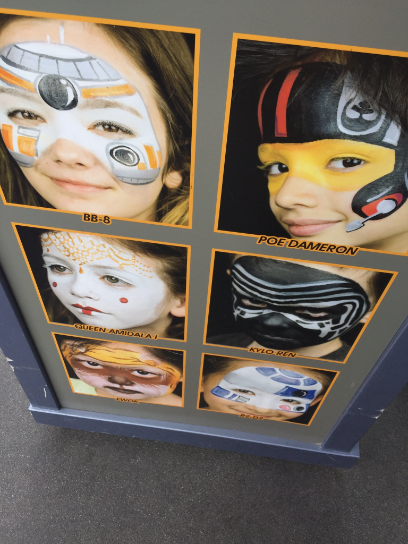 One last bonus idea, Tomorrowland also has great face paintings. Because of how disposable this is, it may not be your idea of a souvenir. However, if you get it early in the day, the will do free touch-ups throughout the day. At prices of $17, $20 and $22 (depending on how elaborate the design you pick) it really could make for a memorable purchase for your child. 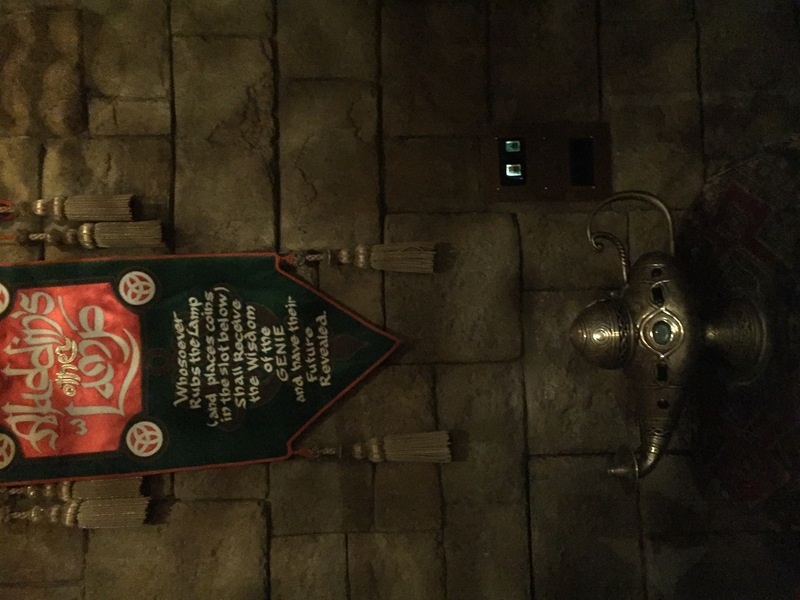 Fantasyland has so much to offer in fun items for those who are kids at heart. 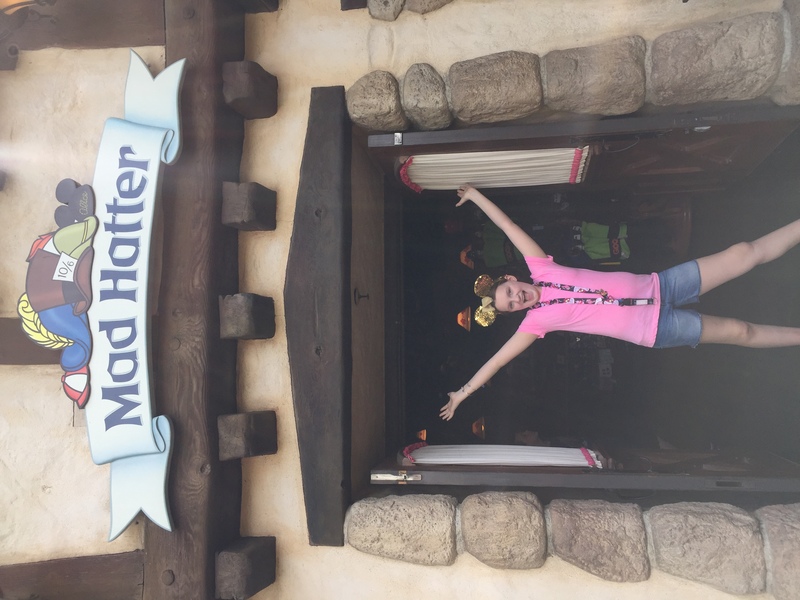 For adults, it’s always fun to consider a pair of mouse ears at the Mad Hatter shop. If you have a princess in the making, this is the home of the Bibbidi Bobbidi Boutique and their specialized makeovers. Be sure to check out “it’s a small world Toy Shop” cleverly located outside the attraction that shares the same name. What stands out to me as a great item to bring back home are the hand painted character letters. Out towards Matterhorn as you head back to “its a small world” you will find a great outdoor area where you can buy hand painted customized art. 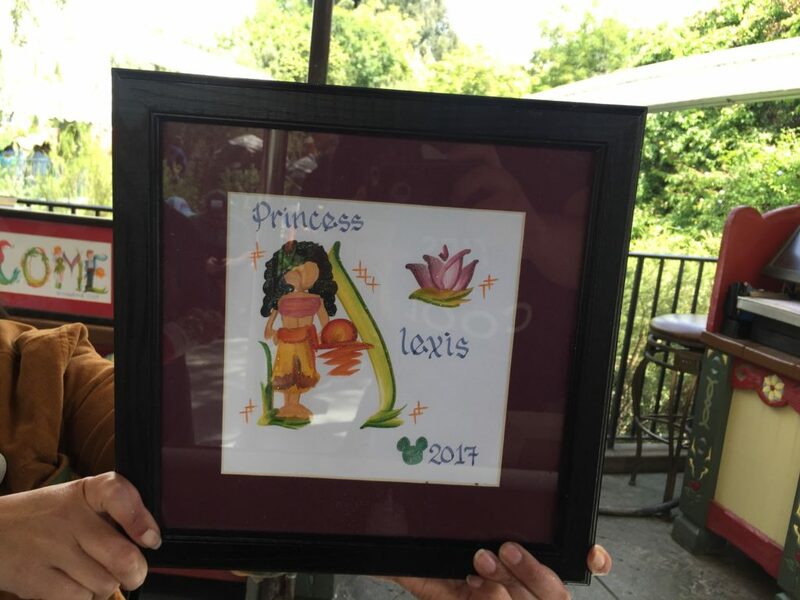 Not just random art, but they offer to customize your name with each letter being spelled out with a different Disney character. The tricky part is that it can be expensive to get your whole name spelled out this way. 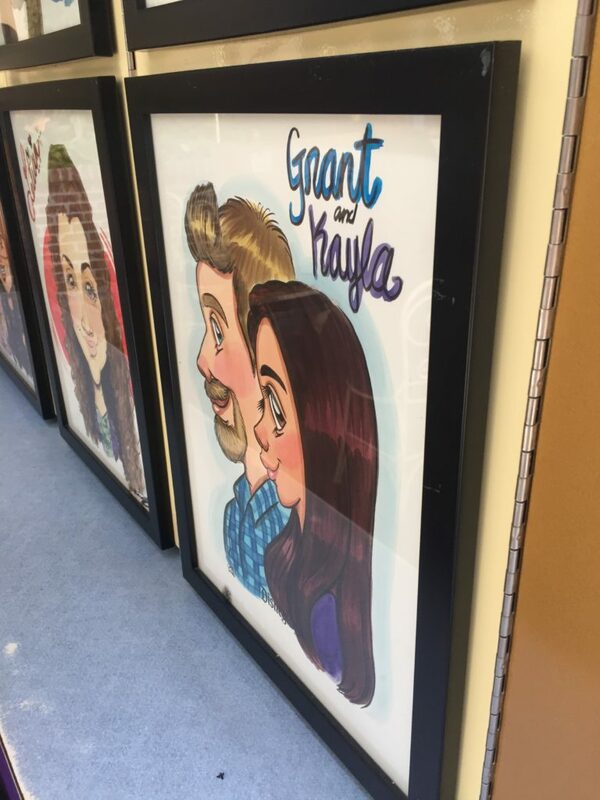 Plus, they will also try to upgrade your handmade art by offering a frame and matting. So how does this possibly make my list? You can elect to go a more economical route and get just one letter for around $22. The only problem will be picking out which one character you want to use to form your precious hand painted monogram. Frontierland has some of the most creative merchandise inside Disneyland park. The Pioneer Mercantile is a place I stop at every time I visit Disneyland. For whatever reason, it feels that they stock the Pioneer Mercantile with items you won’t find everywhere else. 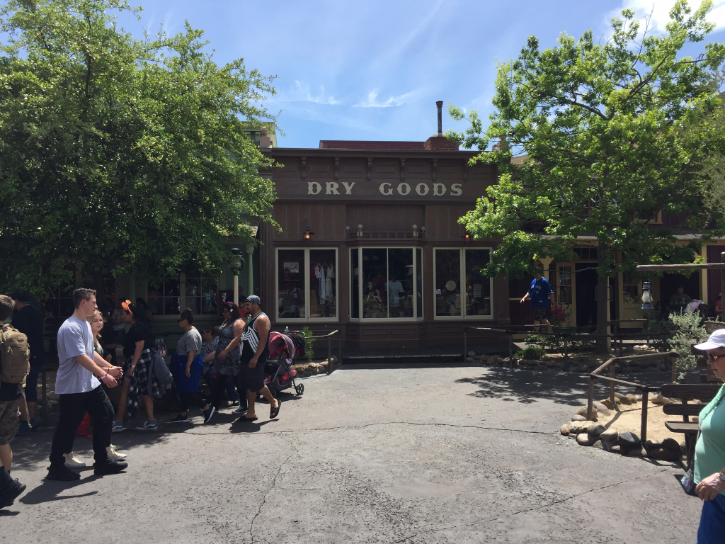 That being said, there are a few items you can get specific to Frontierland. You can get leather bracelets and bag tags starting around $9.95 that come with a free personalized engraving. They are inexpensive, one of a kind and fit well into the land you’re buying them in. Win, win, win! Critter Country is decidedly less diverse for merchandise. While the big merchandise shop, Pooh’s Corner, has some of the best treats, it lacks in any goods that are very unique. 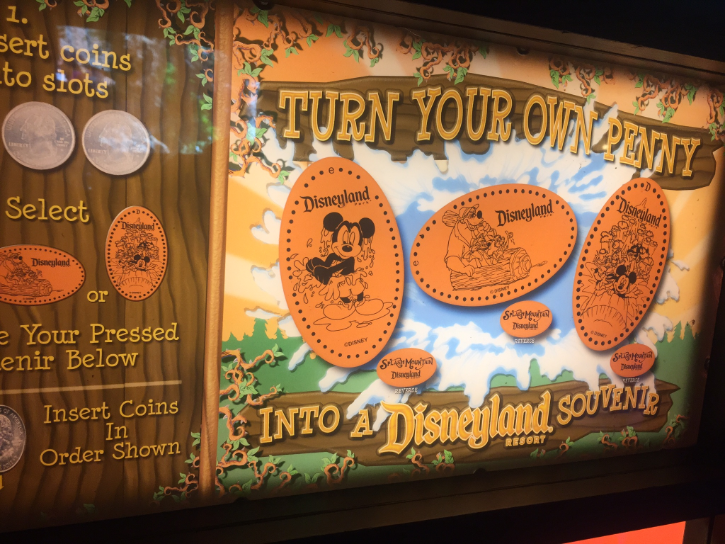 However, right outside Splash Mountain has to be the best pressed penny dispenser at any Disney Park. 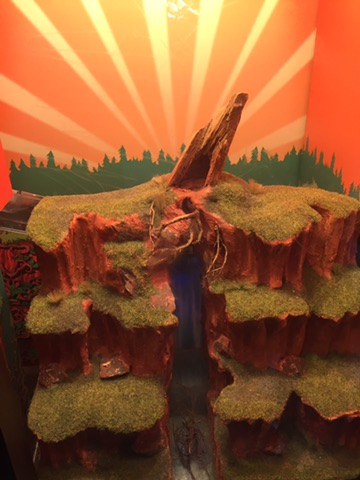 Shaped like Splash Mountain itself, it gives you pennies with logos and characters from the ride. In general, pressed pennies are a great souvenir for kids. 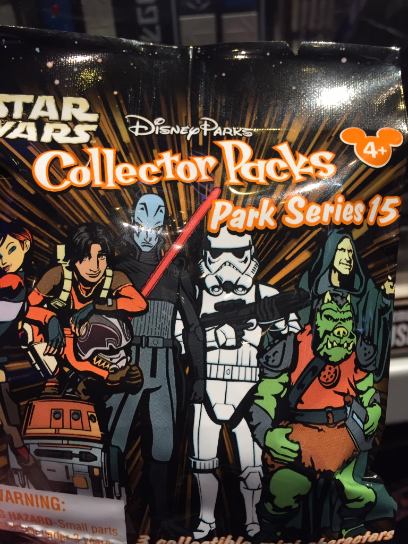 There are many locations all over the park to get different versions of this inexpensive swag. All you have to remember is to bring plenty of quarters and a dozen or so pennies, and your kids will have a great time hunting down these souvenir spitting machines. Pressed penny holders can be found in various shops and only cost around $10 depending on the style. It can be a great way to display your new found treasures once you’re back home. 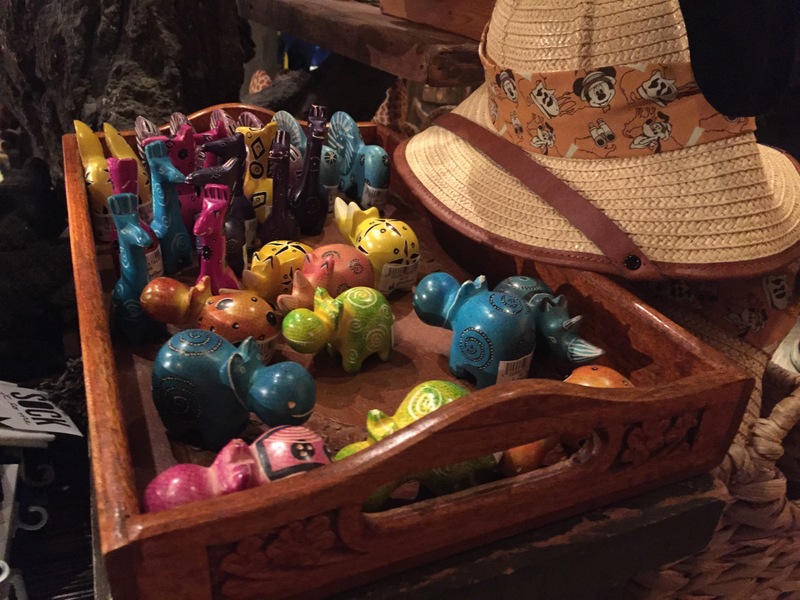 When it comes to outside the box Disney merchandise, Adventureland is a treasure trove. The Adventureland Bazaar is a conglomeration of normal Disney fare, vacation clothing sold in retail shops outside of the park and interesting curio and trinkets you might find being sold in the streets of some far off destination. It’s in this third area that there are some real good finds for a souvenir bargain. 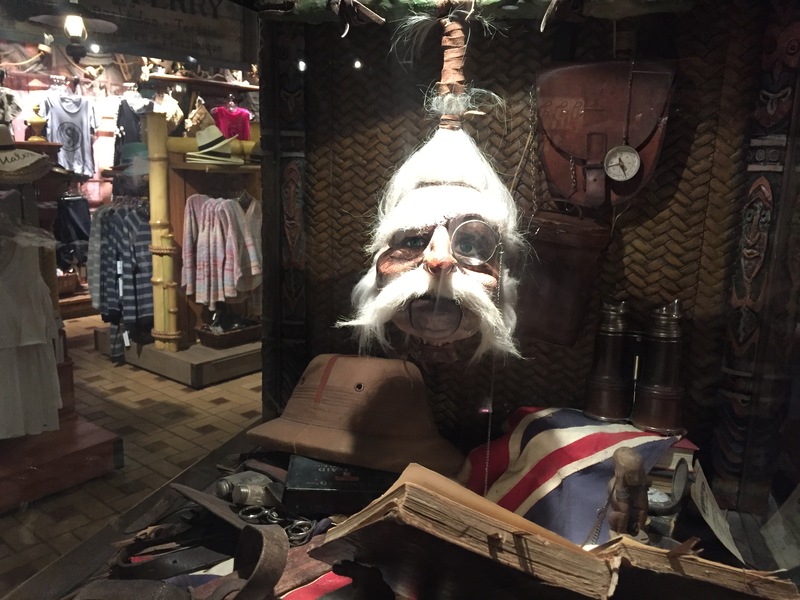 First, be sure to find Shrunken Ned, “Head Shrink of the Jungle”. True to everything we know about Disney, of course the puns abound when we allow the Doctor to diagnose our ailments for just $0.50. You get a souvenir prescription for your coins, and this once in a life time experience. 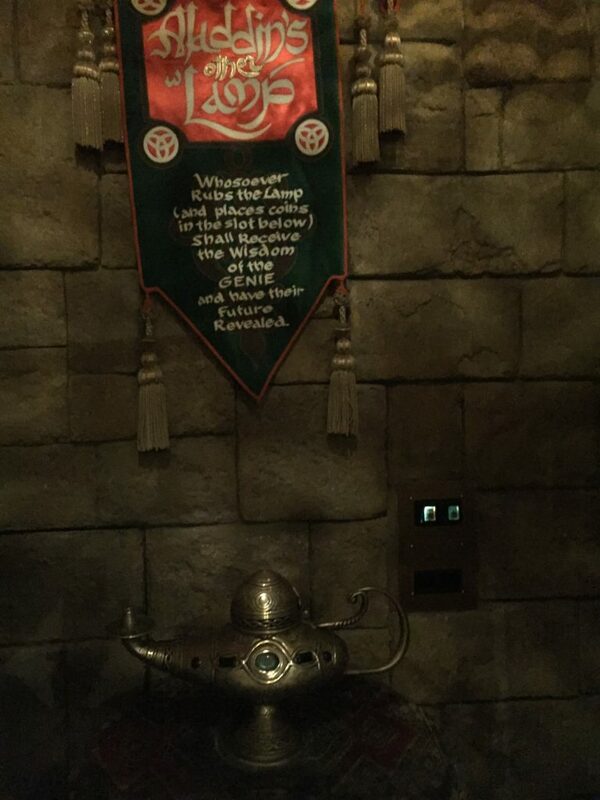 Well, that is if you don’t count Aladdin’s Lamp located in the back of the shop. Which happens to give fortunes for those who rub it and insert a few coins (man, the Genie must be hard up). Either of these experiences can make for a fun treat. The Adventureland Bazaar also has actual goods to be bought at a decent price. This is a moment when you should skip anything that is recognizably Disney. Look at the different displays featuring whozits and whatzits galore. One my last trip, I was able to find perfectly adorable painted animals, priced at just $5.95. Your mileage will vary (in a good way), as the merchandise in this shop can change frequently. New Orleans Square is the like the Main Street of the back of the park. Between Pirates of the Caribbean and Haunted Mansion, the winding back alley streets of New Orleans Square are littered with shopping opportunities. Here’s where you will find the focused merchandise for Pirates and Nightmare Before Christmas. But you can also get a chance to buy crystal, perfume and Pandora jewelry, none of which will make our list for a value souvenir sadly. And though they are a lot of great items, there is a real steal of a deal to be had here. That is the hand painted caricatures that are being created by some amazing artist. Starting at just $19.95, you can have a truly special piece of art created right there on the spot. Of course, the more you add to this painting, the more the price goes up. But even still, I think there is some real value for what you’re getting, even if you chose to grab one of the more pricier versions. What are your favorite souvenirs in Disneyland? 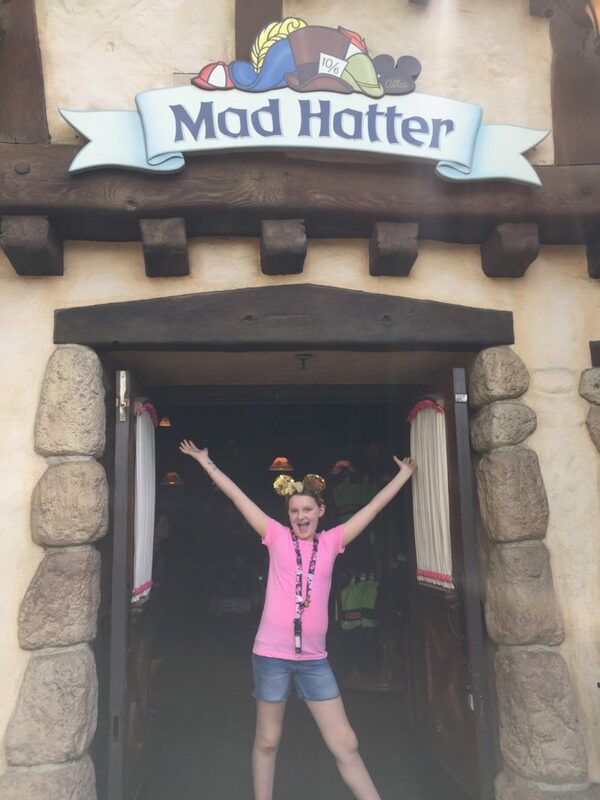 What shop do you always go to when visiting the parks? Please join the conversation by adding a comment about your thoughts, questions or suggestions. Let me know if there are specifics aspects of travel I can cover for you. Mike Rinehart is an independent travel agent affiliated with MEI & Mouse Fan Travel. Follow him on Facebook at https://www.facebook.com/MikesTravelThoughts/ or see my travel photos on Instagram by following @MikeOnMainStreet. Or request your free no obligation quote on your next Disneyland, Disney World, Aulani, Disney Cruise (and any other cruise line) vacation by emailing him at [email protected]. Mention “The Coupon Project” and receive a free gift with your completed booking. In case you missed the first post in our series, please check it out! If you do the souvenir pennies, and one doesn’t turn out, you can exchange them at the register for one that looks good. Never knew that. So the closest register to the given penny press?